To motivate people who don’t pay directly for water and energy bills to use less water and energy. The Student Hotel (TSH) partnered with their spin-out Innovation Lighthouse to research whether innovations that offer direct feedback can entice people to change their behavior and conserve water and energy despite them not having to pay for it. 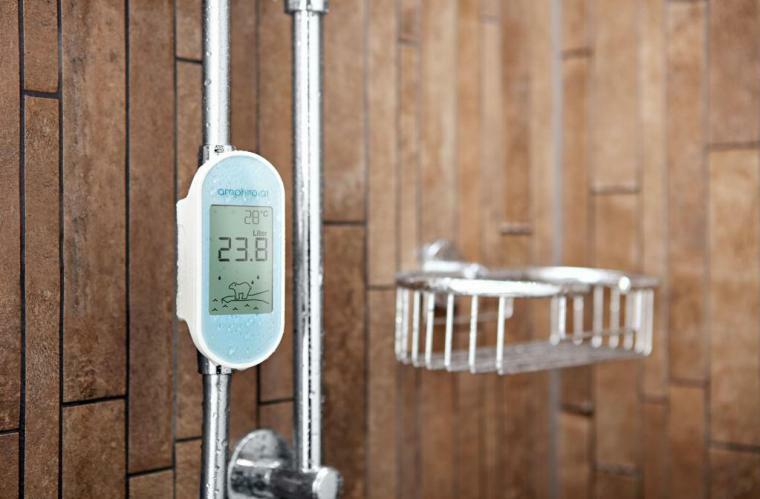 During a living lab at two of TSH’s locations, Amphiro devices were installed in showers to provide real-time feedback on water use. As a result, people used 17% less hot water on average, thereby showing that a direct feedback tool is a practical way to stimulate water and energy savings. How can we motivate people who don’t pay directly for water and energy bills – such as hotel guests and students with all-inclusive rents – to use less water and energy without the use of financial incentives? This was the core question behind the Living Lab that TSH carried out together with Wageningen University, Bectro and Amphiro, under the umbrella of an organization - started by TSH - that is now known as Innovation Lighthouse. TSH hotels are boundary-blurring spaces where students, travelers, mobile professionals, creative nomads and enterprising minds can connect in well-designed co-living and co-working spaces. And while we’re very excited about the path that we’re on and the number of new locations that are set to open in the coming years, we are also very aware of the impact that TSH has on the urban landscape and the environment. When we started, we therefore very consciously chose to devote 10% of our resources (money, space, knowledge, passion etc.) on creating positive impact. For TSH, this means investing in greening our buildings and minimizing our footprint. Because the development of a new building or refurbishment of an existing building is in our hands, that’s where we can have a significant impact. However, we feel that working on the outside of a building is not enough. How we operate the building and how guests actually use the building also contributes to our sustainability impact. And that’s where our students and hotel guests come in. How can we influence our guests’ behavior without financial incentives and without sacrificing guest experience? To answer this question, we conducted a Living Lab to test the positive behavioral effects of various non-financial incentives and the use of technological innovations. Impressive results were reached with the installation of the Amphiro device. This device is installed in the shower and provides real-time feedback on water temperature, volume of water consumed, and energy used, and displays an image of a polar bear on ice. The iceberg melts as more energy and water is consumed. The installation of the device led to a 17% decrease in water use during the experiment and a 10% longer-term decrease after the device was removed. This means that in addition to direct effects, the intervention led to longer-term behavioral change. This project also showed TSH the value of a living lab: live testing of innovations in a real building with actual guests. Because of the unique mix of short-term and longer-term student and hotel guests, TSH provides quite a unique test population and we recognize that we can positively influence the behavior of the leaders of the future. In summary, this project has demonstrated that interventions that provide real-time feedback about energy and water use are a way to significantly reduce costs, carbon emissions and contribute to the education and behavior of hotel guests. Based on the results of the living lab, TSH has installed Amphiro devices in all rooms of our newly developed hotel in Florence, Italy, and is considering a further roll-out. In addition, this project has shown TSH that a collaborative approach to innovation in sustainability – for example in the form of a living lab – can be very interesting and effective. As a result, TSH started Innovation Lighthouse, an independent collaboration platform for forward-looking real estate companies and innovators working on testing and implementing sustainable innovations across real estate asset types. With this organization, TSH will be engaging in many more living labs to come, including a current follow-up study with the Amphiro device in the Amsterdam City location. If you want to test sustainability innovations in real buildings, get in touch!